British born and raised, Claudine Moore has lived and worked in New York City since the early 2000s and owns an impressive PR and communications career that spans top global agencies and Fortune 100 brands across multiple markets. 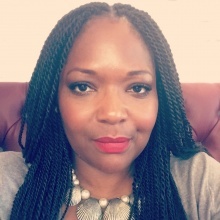 Claudine has had senior leadership positions in agencies such as McCann Erickson (MRM), Grey (G2 Branding & Design) and was the US Regional Director, media, marketing and business development for PR giant Hill-&-Knowlton Strategies where. She has also worked with brands including Hewlett Packard, Coca Cola, HSBC and more. Upon leaving H&K she launched a consulting career where she provided expertise in media relations, business development, strategic planning, digital and social media strategy, content creation and crisis communication for a variety of organizations in different sectors including public affairs corporate, beauty, consumer, travel and finance. The strategic planning and execution of these PR and communication initiatives were in the US general and global markets. In addition to working with brands, Claudine’s high-level agency background has led to her supporting agencies with their own marketing, media relations and award submissions. With a desire to constantly develop her expertise and experience, Claudine has worked in key emerging markets across Africa in diverse sectors including public affairs, corporate, consumer, finance and more recently she has extended this experience to working with African Foundations. Claudine provided these companies and organizations with international communications and business development strategy as well as event management, branding and social media strategy and execution. Organizations and business leaders include former United Nations Secretary General Mr. Kofi Annan and the Africa Progress Panel, Heirs Holdings, Tony Elumelu Foundation, Konga, United Bank of Africa, House of Tara and more. Claudine is a five-year board member of the global industry imitative Social Media Week and is a sought after corporate communications executive trainer, teaching mid to senior levels executives in both the US and Dubai. She is also an avid freelance writer providing content for media outlets such as Huffington Post, CNN, Black Enterprise, PR Week, Madame-Noire, the International Public Relations Association and more.